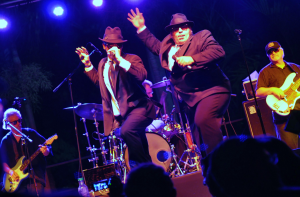 One of the hottest tribute bands in the area, The Blues Brothers Soul Band generates energy and excitement everywhere they perform—reminding you why Aretha demanded R-E-S-P-E-C-T, why Tina left her Good Job in the City, why Ray has Georgia On His Mind and why James Feels Good! This dynamic band is comprised of very talented musicians that include amazing lead and female vocalists, a soulfully dynamic rhythm section and a full-blown horn section. Jazz, Rock, R&B, Funk, Reggae, Top 40, Swing, Latin and Pop—The Blues Brothers Soul Band does it all! 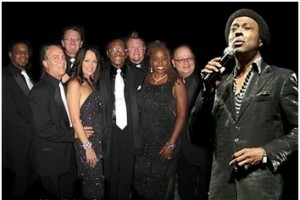 The Blues Brothers Soul Band specializes in weddings and large corporate and social events. They will work with you well before your event date to understand your preferences to plan just the right music for your celebration. So grab your sunglasses and your pork-pie hat, get down with your blues and go see these good ol’ boys for a truly mind-blowing evening! 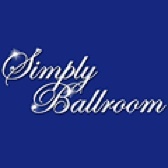 Direct from London…it’s “Simply Ballroom!” The costumes are DAZZLING, the dancing is BREATHTAKING and the show is AMAZING! Taking the art of ballroom dancing to a new level, the wide variety of music and dancing in this production entertains audiences and keeps them wanting to see more. This amazing Tropicana-style revue highlights the heritage, culture, and pulsating rhythms of that famous Latin sound. This large-scale production features dynamic dancers, powerful vocalists and brilliant costuming combined to create a vibrant, festive and fast-paced revue. “A Night at the 500 Club” is a musical revue that rewinds time to the good old days. Featuring Joey Arminio and “The Family”, the incredible delivery of great songs from the nightclub era makes for an unforgettable show.